As the topic says: Gentlefolks, pop your corks! 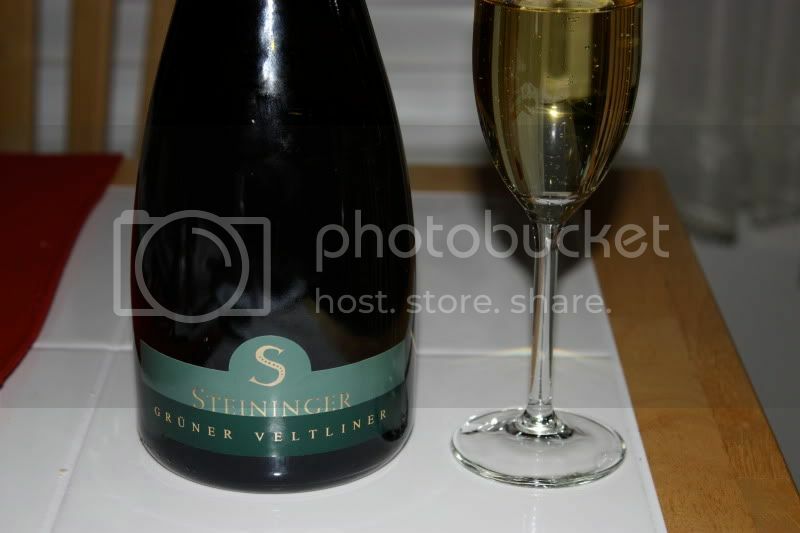 I was just talking about Steininger Sekt recently with my wife and how we miss it (and that of Schloß Gobelsburg). I even like the Steininger Zweigelt Sekt. 2009 Weingut Schäfer Mußbacher Kurfürst Riesling Brut Sekt b.A. 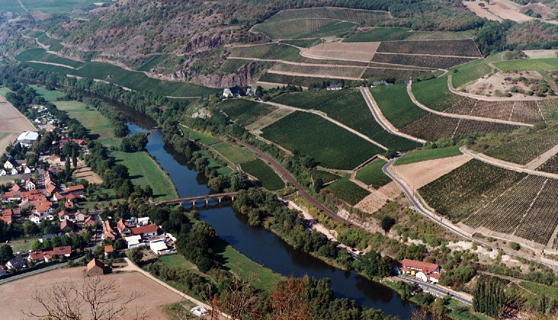 –Pfalz, Germany 12,5% alc. Fermented in the bottle in which it was sold. We drink a good and proper amount of this around the house. It has very nice apple and peach fruit, is as clean as a whistle, with very little sulfur on the nose (a major problem with cheaper Sekt and really any sparkling wine worldwide). It has beautiful apple blossom and marzipan nuttiness without showing any of the biscuity, autolytic flavors of Champagne. Dry, mildly acidic, with a fresh and vibrant attack. Riesling can be an absolutely wonderful grape for use in bubbly, but you need to approach the wine differently than you would other sparkling wines. Since Riesling Sekt can be both intensely aromatic and also highly mineral, but is also often produced in the same manner as Champagne with the second fermentation initiated in bottle (Traditionelle Flaschengärung), the wines are unique in that they don’t really fit between the Classic Champagne model of either blended Non-Vintage Cuvees; vintage wines aged for an extended period in contact with the lees before disgorgement; and that of the more aromatic, cheaper sparklers produced in tank via Cuve Close (like Prosecco). The vast majority of German Sekt is consumed domestically and I’m not exaggerating when I say that it is insanely, wildly popular –it is almost unheard of for any German household to be without at least a few bottles of Sekt at any given time. In fact, I have never been invited into someone’s house, no matter the time of day, without being offered a glass of Sekt. Most Sekt tends to be dry, although there are seven different classifications based on residual sugar after dosage (and a few other styles not quite classified as Sekt when speaking of pressure and method of carbonation.) Brut 0-12g/l, Extra Trocken 12-17 g/l, and Trocken 17-32 g/l are the most popular. There are excellent Sekt cuvees made from the three classic Champagne grapes and Pinot Blanc is also a popular medium for Sekt production (almost every grape that you can imagine has been produced as sparkling wine in Germany), though the most indicative, unique and popular grape for high quality Sekt production is of course Riesling. Forumites should look out for Luis Pato Sparkling Baga (light red) from Portugal Bairrada area. I have posted twice before I think but have another bottle ready to go this month! Usually drink at Xmas with ham, yum. Thanks for the info, Bill. Alas, Sekt is not imported to Israel. ChaimShraga wrote: Thanks for the info, Bill. Alas, Sekt is not imported to Israel. I've seen it here and there in the US (as well as Austrian Sekte), but the good stuff is normally much more expensive than Prosecco or Cava (or Creant de Loire). And though a much different wine, bubbly other than Champagne seems to be bought under $20 or so. Hi Bill, the only Sekts I see in Ohio are made from Riesling. Does Schloss Johannesburg still make a Riesling Sekt. It used to come into Ohio but the 1995 was the last one I have tried or seen. I think it was labeled as Schloss Furstentum and was excellent. Does anyone make quality Sekt out of Scheurebe or Siegerrebe? I would sure like to try one of those some day. 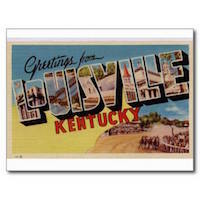 Jim Grow wrote: Hi Bill, the only Sekts I see in Ohio are made from Riesling. Does Schloss Johannesburg still make a Riesling Sekt. It used to come into Ohio but the 1995 was the last one I have tried or seen. I think it was labeled as Schloss Furstentum and was excellent. Does anyone make quality Sekt out of Scheurebe or Siegerrebe? I would sure like to try one of those some day. Yes, the Schloss Johannisberg Sekt is called Fürst von Metternich and is very popular as a supermarket brand. I wouldn't put it up against the greatest Sekte in Germany, but it's probably the best of the big-brand Sekt out there -they make several: Vintage (which is fermented in the bottle) and NV (which is cheaper and is not.) I'll pick up a bottle and write a note on it for you. There are many Scheurebe Sekte out there, though I haven't tried many. There is a 'new' category of bubbly in Germany called 'Secco' (which used to be called Perlwein.) It is lightly carbonated (under 2,5 bar) and usually made by adding CO2 during bottling. Many of the more aromatic varieties (Kerner is popular) are finding a new home in these bottles. Secco plays off the popularity of Prosecco. As for Siegerrebe...Well, I don't know that there has ever been a wine of quality made from that grape, sparkling or otherwise! i like a glass of bubbly before dinner. when i was in niagara on the lake last week i had a glass of 13th st. brut. boy did it hit the spot - very classy in a sort of youthful champagne like way. one of the better non champagnes i can remember. actually they've been doing a great job with bubbles for years and good to see that the new owners are keeping up. Pretty slow here, everyone watching rugby!!? We don’t drink non-Champers sparklers very often and then usually as an appetiser when entertaining. (Champagne itself is normally reserved for special occasions such as anniversaries, Christmas and New Year and is then used as a food wine as well as a starter.) Here are three sparklers from recent years which have struck me as outstanding. The Cavas from this estate are a revelation. The still whites are pretty good too. Cava Imperial Gran Reserva Brut 2005 (€20), from Xarel.lo 50%, Macabeu 40% and Chardonnay 10%, had rich aromas with a liqueur touch and round rich body with a pleasing oily touch and great moutn-fill; 16/20. Crémant d'Alsace Cuvée Prestige - René Muré, Rouffach -Alc.12% - (€14), made from Pinot Auxerrois 35%, Riesling 30%, Pinot-Gris 20%, Pinot Noir 10% and Pinot Blanc 5% and disgorged on Aug 30, 2010. This cuvée is my standby bubbles other than Champagne and best Vouvray. It is usually quite round with good decently complex fruit and a hint of sweetness which pleases those who find tartness in a lot of bubbles; this time I was more conscious of lively acidity which was a plus for me and made the wine seem to acquire added elegance. I am a big fan of cremants and find them to be good wines @ $15-$18. Of course Cava is a great value@ +/-$9. Recently impressed with the Marques de Monistrol Brut and the Segura Viudas Brut, both in that price range. For domestics I think CA does a good job with sparkling wine. Piper-Sonoma is particularly good, and sells around here for about $13 (I'm in South Carolina). Then there is everyone's favorite, Gruet, both the Blancs de Noirs and the Brut are good buys. I'm like a lot of people, Champagne for special occasions or with crab cakes (home-made) or maybe a special salmon dish, or scallops. You've never really lived until you've had Champagne throughout a meal, very decadent. Good streams of fine bubbles. Medium weight, good full mouthfeel, crisp, nutty, lemon, green apple, good acidity, clean, delicious, with a hint of chocolate. Peppery, lemon and drying on the finish. Purchased from a Halifax restaurant wine list. This was my first Nova Scotia wine and it paired wonderfully with rich seafood. Later in the trip, I bought a bottle and brought it home. Gentle pop when the cork was pulled. Nice stream of tiny bubbles in the glass. While the Chenin fruit was evident, the nose was more about the yeastiness. Dry, good acidity, refreshing and very easy to drink. I had this last night with my sister over a dinner of steamed lobster, corn-on-the-cob, and salads. My sister said she would only have one glass of wine with dinner, but she managed three. Excellent match and an enjoyable wine. PS - I have had many excellent wines over this summer and I apologize for not posting on them. I will try to be more diligent in the future. Total Wine carries a Cremant de Bourgogne from Jaillance that is better than average. They have a wine from Chardonnay as well as one from 60% Pinot Noir, 20% Gamay, and 20% Chardonnay. the main grapes from Burgundy. Very tasty stuff. Jaillance seems to be a large producer/coop that makes wines from the Loire as well as Burgundy. They sell at Total for about $15. Worth a look. Others may carry this as well. A lovely copper in the glass. Spicy, peach, honey on the nose. Gently frizzante with tiny bubbles clinging to the sides of the glass, medium weight, peach, apricots, ruby grapefruit, green apple, honey, good acidity, off dry, spicy, very rich, crisp. Mouthwatering, citrus rind, Granny Smith apple on the long finish. A beautiful and fun wine. This is M-Cs first ever Sekt, a project that Martin Franzen was very enthusiastic about. The Riesling was specifically harvested and vinified with Sekt in mind, which is necessary to keep the alcohol level in check and also to ensure that there is a significantly lower dose of SO2 applied to the base wine so as not to interfere with the bottle fermentation. Seemingly obvious steps to take, but not everyone does and it definitely shows in the glass. Though just released this week, it is a very lovely bubbly. Fresh and vigorous. The fruit leans in the direction of citrus and stone fruit, perhaps a little Mirabelle and ginger, and sweet spring flowers. I probably jumped the gun a little by opening this so soon after bottling, but it made for a great pairing with onion and bacon tarte flambee. A MF’n STEAL at 12€. I have mentioned the very nice Raventos i Blanc Cavas here a few times but have now sampled their white Perfum de Vi Blanc, 50/50 Muscat and Macabeo. Very aromatic sweet nose but very dry on the palate. Apple, melon, minerals, long finish. Would be a great patio/backyard sipper! There are a couple of areas in France that make decent bubble but are out of the public eye. Some nice ones from the Loire - Saumur particularly. Last night we opened a bottle of the NV Pinon Vouvray Brut non-dosé, which once again was crisp and defined, with hints of apple and a little toast and a fine mousse. This is the latest release and it is great fun. Not at all a tasting note, but slightly relevant. Today we started in on hand-riddling (which isn't nearly as pornographic as it looks in print ) the 4500 bottles of Sekt that we produce yearly. Once in the morning and once in the evening (hand-harvesting Weißburgunder and Auxerrois in between. Both at about 100 Oechsle, btw) Contrary to what you might think, it is a rather violent procedure and quite a workout (it's not just daintily turning bottles a quarter turn, it is smashing them back and forth into the rack while turning them.) It sure makes you thirsty for Sekt. Bill Hooper wrote: Not at all a tasting note, but slightly relevant. Today we started in on hand-riddling (which isn't nearly as pornographic as it looks in print ) the 4500 bottles of Sekt that we produce yearly. Once in the morning and once in the evening (hand-harvesting Weißburgunder and Auxerrois in between. Both at about 100 Oechsle, btw) Contrary to what you might think, it is a rather violent procedure and quite a workout (it's not just daintily turning bottles a quarter turn, it is smashing them back and forth into the rack while turning them.) It sure makes you thirsty for Sekt. Yeah, I guess you need to shake them up to dislodge the yeast patches. I've watched the riddling machines in Epernay at work and they ain't quiet! You guys must be the local wrist wrestling champions! I suppose, but you should see me with a wisk. Omelette anyone?